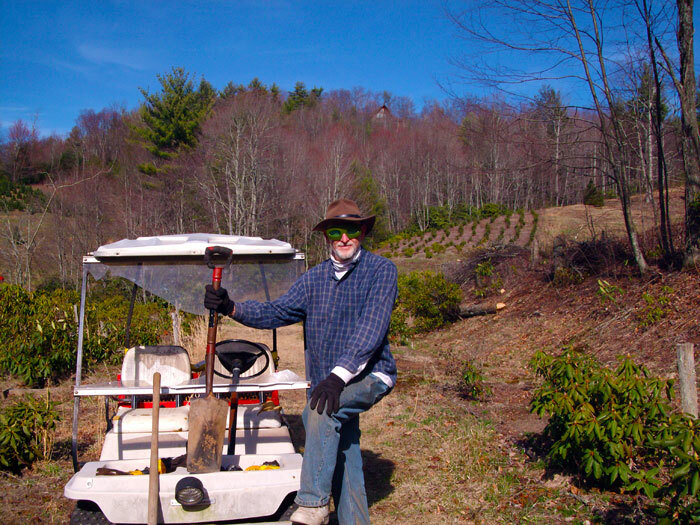 Here is Chuck's sustainable Christmas tree farm. 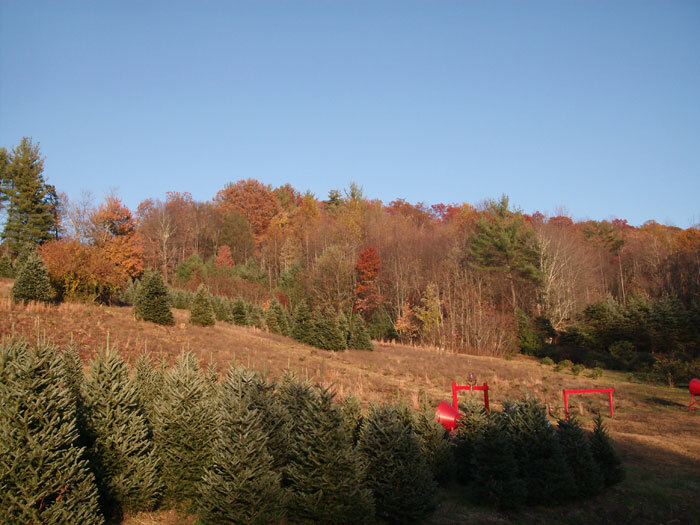 These are the trees he will be selling this year. 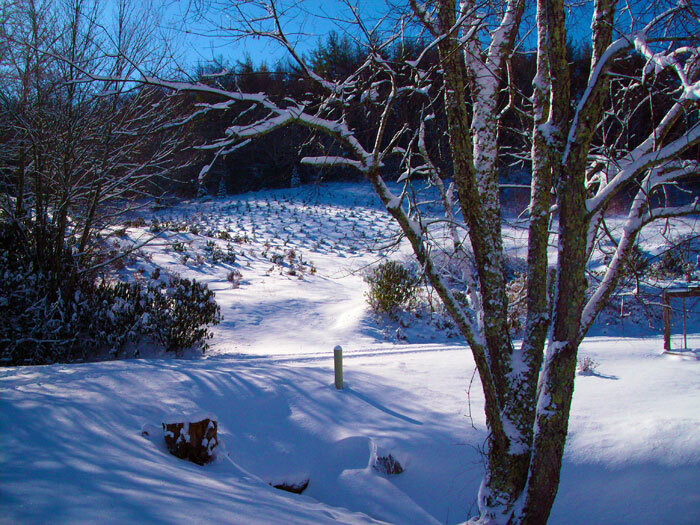 This is the farm in the winter. 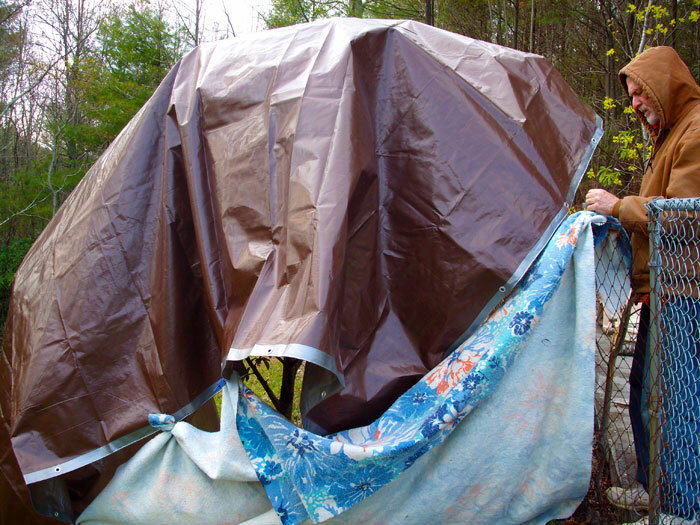 This is Chuck's sustainable farm vehicle. It is a 1984 electric golf cart. Cuck does not own a tractor or a pick up truck. 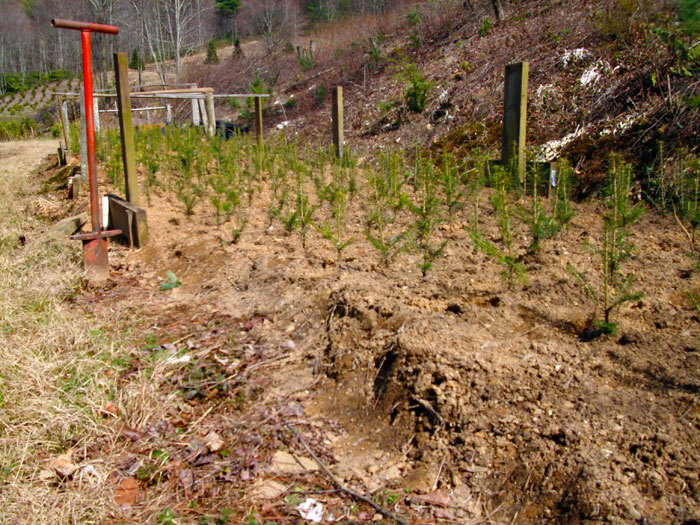 This is Chuck's Christmas tree seedling bed. 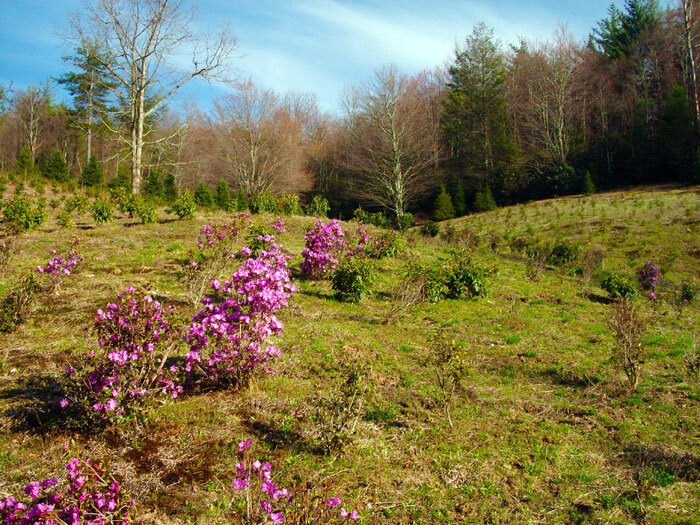 This is the farm when the rhododendron are blooming. 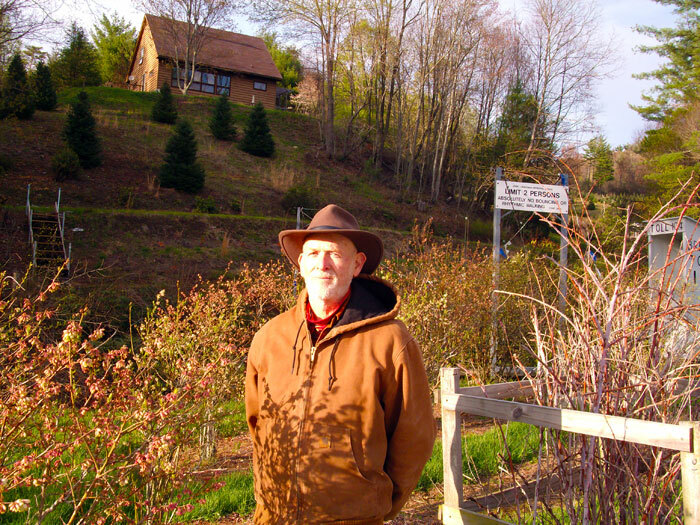 When a tree is cut on Chuck's sustainable farm, nothing is wasted. 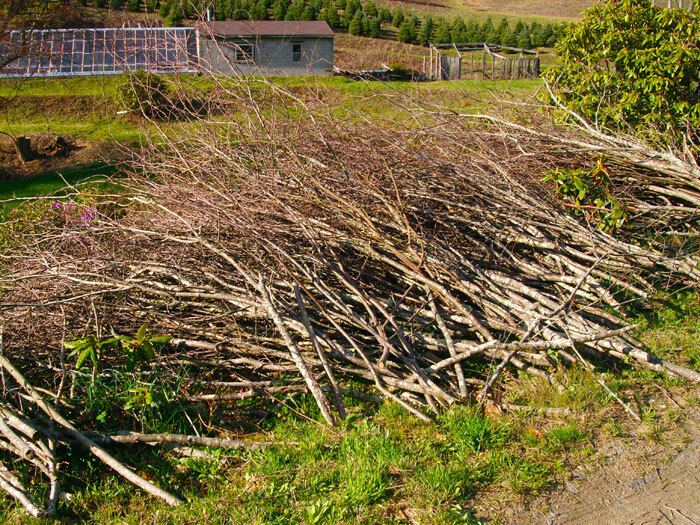 Here are branches ready to be chipped. 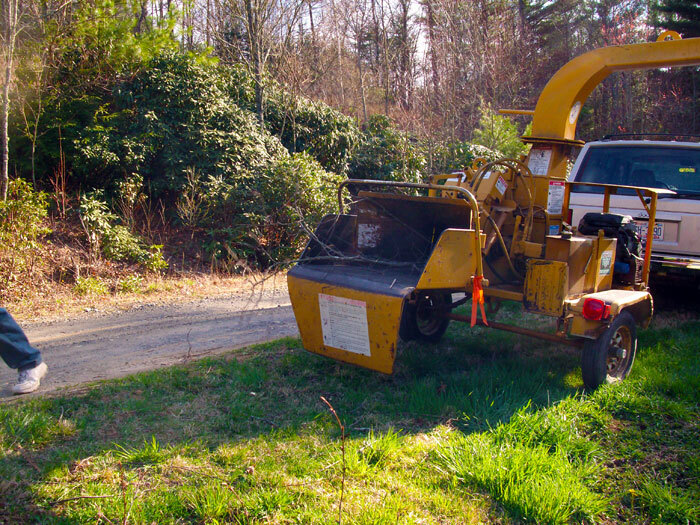 Here is the rented chipper. 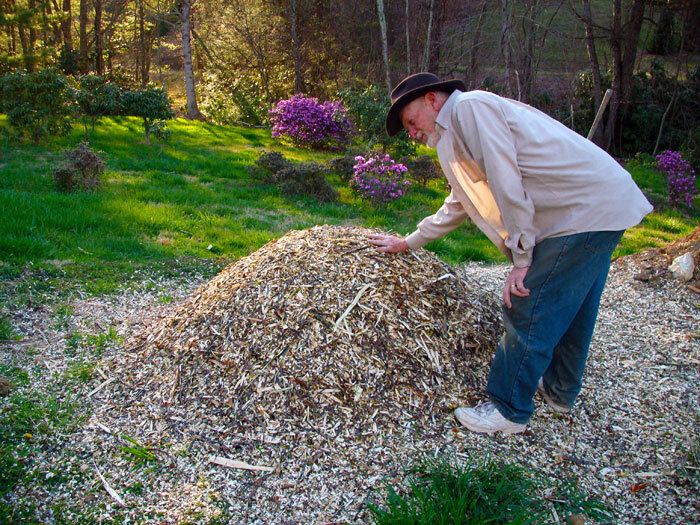 Every year Chuck and Eleanor have a chipper party. Here is Chuck protecting a cherry tree from frost. This is the house Chuck and Eleanor live is. The house is in the middle of the farm. 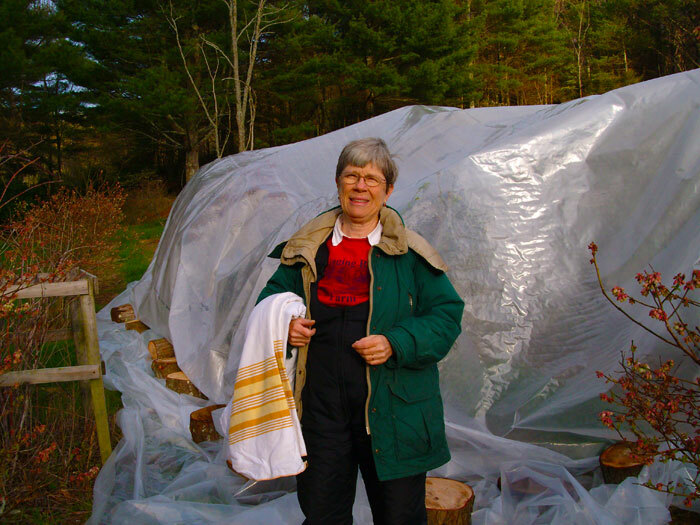 Here is Eleanor protecting the blueberries from frost. 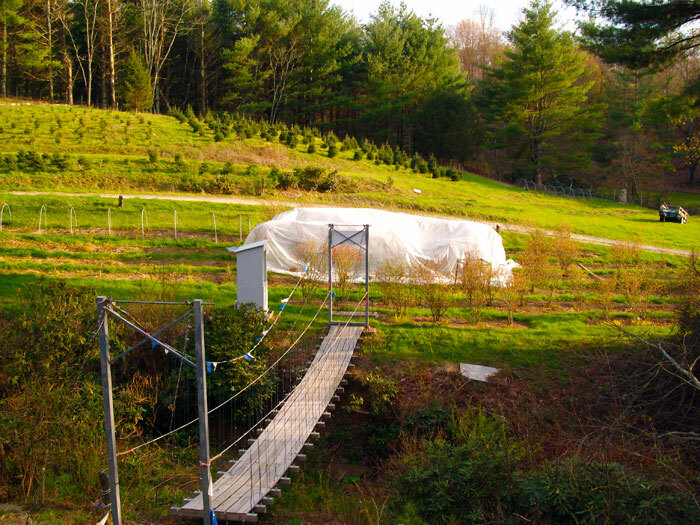 Here is our swinging bridge. It connects two blueberry fields. It was fun to build. 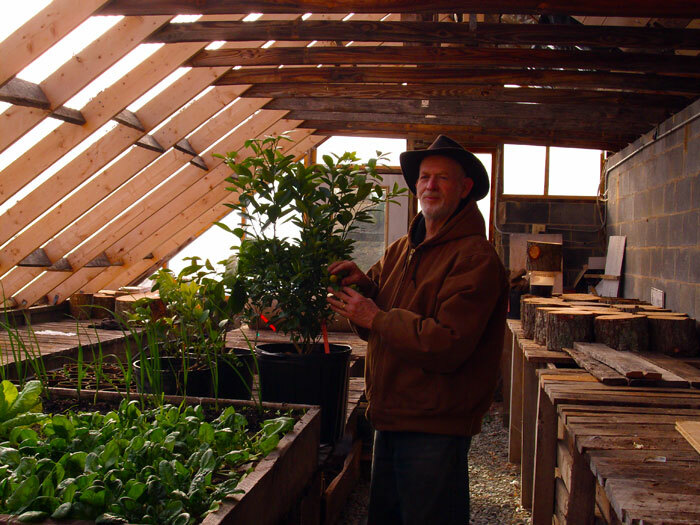 Here is Chuck in the greenhouse. He is using it now for lemon and orange trees.